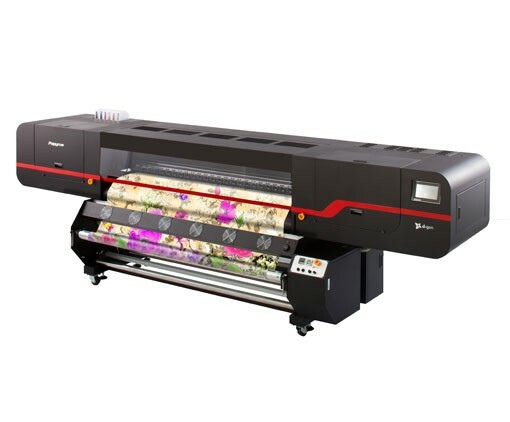 Printer`s speed is defined by the number of nozzles and dots. PAPYRUS Arete uses best-in-class latest print heads Xaar 1201 that contain 1280 nozzles, 600 native resolution by 2.5 pico liters drop size. Meaning, that even in production speeds of 80 sqm/h it is possible to produce high definition prints with good looking colors. The PAPYRUS Arete unit is best for Dye-sublimation and Blueback.